"Simply the best Honey. worth every cent. 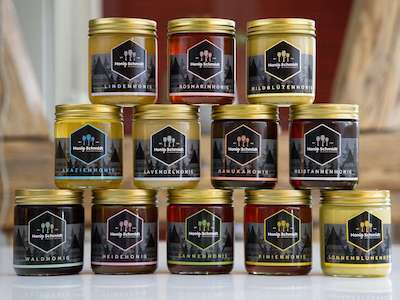 I hope they sell small packages so i can try all different types of honey so i can try all..."
Le miel le meilleur de monde. Honig der beste der Welt. by the way the color is nearly black not white :) the tree is white.